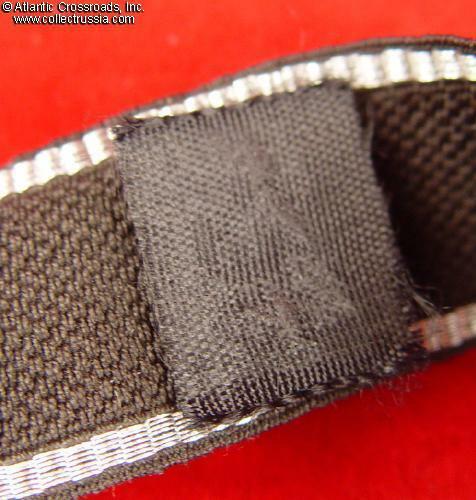 Allgemeine SS cufftitle, Standarte #7 Officer version in silver bullion on rayon ribbon, with both gummed paper RZM labels intact, with purple ink stamps. 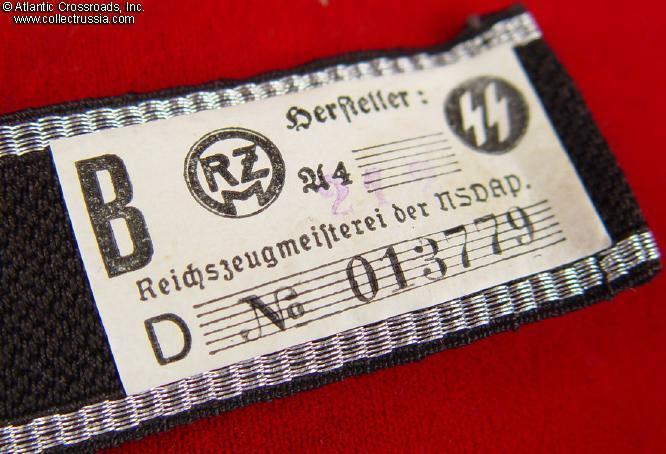 Allgemeine SS cufftitle, Standarte #7 Officer version in silver bullion on rayon ribbon, with both gummed paper RZM labels intact, with purple ink stamps. Unissued. Roughly 19 1/2 long, with folded over machine stitched ends. 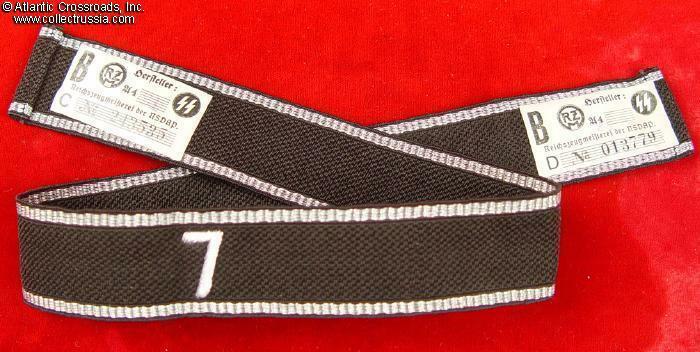 1 & 1/16 width rayon ribbon with checkerboard weave pattern, protective black cloth patch glued over the bullion number embroidery. 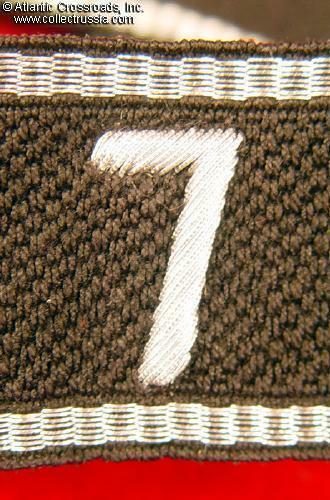 Bullion border stripes consist of the requisite seven strands.